Steve Brown: Edwin, It seems strange to me that you would only be having this particular problem with only the driver. The symtems sound like a sequence problem or an over rotation of the hips and legs. Assuming a right handed player, on the take away, you want to brace the right leg and pivot around the right hip. By bracing the right leg (knee) and rotating your shoulders, you create torque that will unleash your potential power. If you are over rotating your hips, the right knee will drift to the right, creating a sway. Most people then make a dramatic shift to the left and get in front of the ball creating the slice. With the over rotation of the hips, there is little torque created between the upper body and legs, resulting in a lack of power. I would suggest getting with a qualified instructor and have them make sure this is what is really happening in your swing. Good luck! Jason Askew in Tuscaloosa, AL writes: I have trouble making the 4-6 footers. Whats a drill I can do to get over this problem? Steve Brown: Jason, I need a little more information to make a truly accurate diagnosis for your particular problem. Generally, when people miss putts from this range, they are having a problem with leaving them short or just long on one side of the hole or the other. The best thing to work on for these putts is to make sure to address the ball with the hands slightly ahead of the ball so that your target side wrist is flat or slightly bowed with the wrist leading the stroke. You will have created a slight “L” with your trail side wrist. 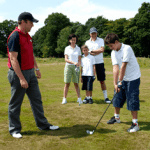 You want to make a stroke using your shoulders to take the putter away from the ball. Make sure to maintain the initial setup with your wrists throughout the stroke. This will ensure that the putter head does not pass the hands at any point during the putt. Letting the lead wrist “collapse” has been the cause of many a poor round of putting. Good Luck! Steve Brown: Brady, Thanks for your question. As far as the golf swing is concerned, a ball will curve when the club face is open or closed in relation to the swing path of the clubhead. To what degree, depends on how open or closed and can be influenced by the dimples on a golf ball. For the aerodynamics involved I would suggest contacting the USGA or one of the major golf ball manufacturers such as Titleist or Spalding. I have trouble gripping my clubs too firmly. I know what alll the experts say about thinking the grip should feel like a tube of toothpaste and trying not to squeeze so hard as to push out the toothpaste. However, no matter how loosely I grip in the practice swing, I tend to put on the deathgrip when I start the downswing. Thanx for any help with tips, or practice techniques. 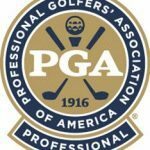 Steve Brown: Jim, Yours is a question that I hear many times that can be a hot topic of debate as to the pressure to apply when gripping the club. I will start out by saying that above all else, the pressure should be consistant throughout the swing. In my opinion, your deathgrip on the downswing is caused by too light a pressure on the take away. I disagree whole heartedly that you want to “avoid squeezing out the toothpaste”. Your grip must be firm to control the club throughout the swing. Too loose a grip can cause serious problems in transition at the top of the swing resulting in an inconsistant “set” to begin the downswing. When you begin the downswing with your lower body, a light grip will cause you to “grab hard” so as to gain control and not drop the club. Byron Nelson in his 1943 book “Winning Golf” says “My grip on the club is designed for firmness, above all else”. (Page 20) In Ben Hogan’s “Five Fundamentals” he discusses the grip. On Page 20, he states “One essential, then, to insure your self a firm two-handed grip is to get your left hand on the club absolutely correctly.” Firm is the key word here. You definately do not want a “white knuckle death grip”, but you should strive for a firm, “alive”, reactive grip. One that you can sense where the club is at all points of the swing. 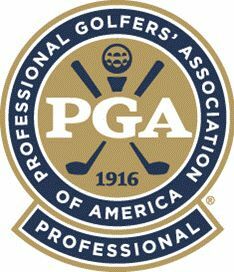 Contact your local PGA Professional for more help. Good Luck. Thanks to Steve Brown for answering these questions.